Environmental Science & Technology contains research articles on various aspects of environmental chemistry, interpretative articles by invited experts, and commentary on the scientific aspects of environmental management. The Journal of Agricultural and Food Chemistry publishes research results dealing with the chemistry and biochemistry of agriculture and food with a focus on original research representing complete studies, rather than incremental studies. Topics covered include chemical/biochemical composition and the effects of processing on the composition and safety of foods, feeds, and other products from agriculture, including wood and other bio-based materials, byproducts, and wastes. It covers the chemistry of pesticides, veterinary drugs, plant growth regulators, fertilizers, and other agro-chemicals, together with their metabolism, toxicology, and environmental fate. Chemosphere is an international journal designed for the publication of original communications as well as review articles. Chemosphere, as a multidisciplinary journal, offers maximum dissemination of investigations related to all aspects of environmental science. Bioresource Technology publishes original articles, review articles, case studies and short communications on the fundamentals, applications and management of bioresource technology. The journal’s aim is to advance and disseminate knowledge in all the related areas of biomass, biological waste treatment, bioenergy, biotransformations and bioresource systems analysis, and technologies associated with conversion or production. 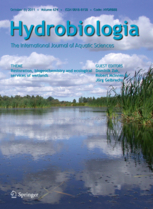 Hydrobiologia publishes original research, reviews and opinions investigating the biology of all aquatic environments, including the impact of human activities. Coverage includes molecular-, organism-, community -and ecosystem-level studies dealing with limnology and oceanography, including systematics and aquatic ecology. Inaddition to hypothesis-driven experimental research, it presents theoretical papers relevant to a broad hydrobiological audience. 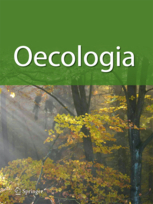 Oecologia publishes innovative ecological research of general interest to a broad international audience. Presents articles on research developments in the functional relationships between plant and animal organisms and their environment. Biological Conservation publishes the leading research in the discipline of conservation biology. The journal is globally relevant and international in scope. It publishes articles spanning a diverse range of fields that contribute to the biological, sociological, and economic dimensions of conservation and natural resource management.